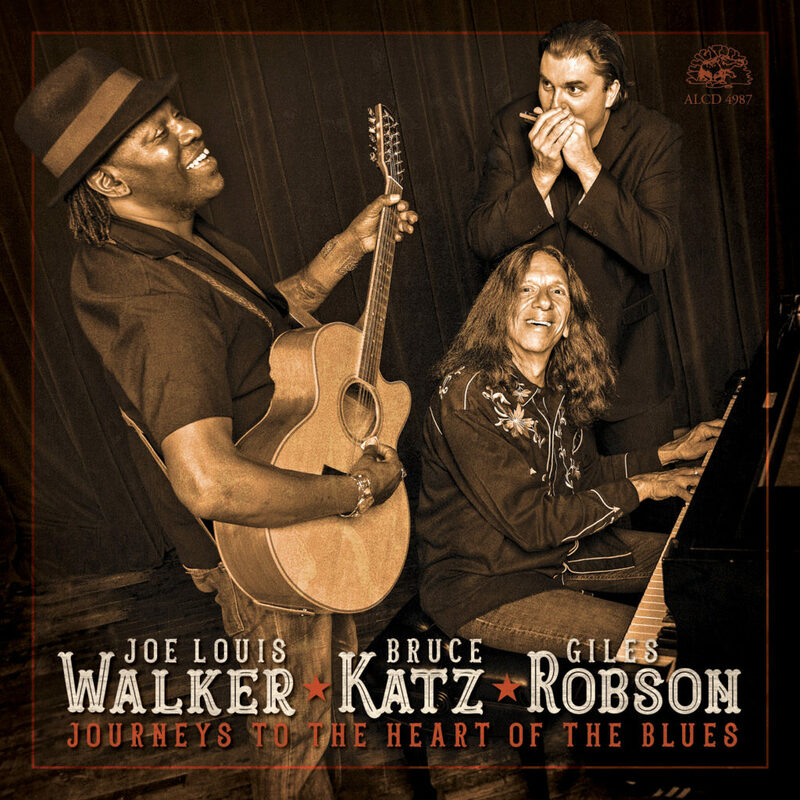 We’ve liked an awful lot of what we’ve heard from guitarist and singer Joe Louis Walker in recent years, but we’re not sure we’ve heard him sounding any better than on his latest project Journeys to the Heart of the Blues (Alligator Records/Munich Records), an all-acoustic collaboration that pairs the Blues Hall of Famer with UK harmonica player Giles Robson and piano master Bruce Katz, who’s spent many years playing with the likes of Ronnie Earl & his Broadcasters, Gregg Allman, the Allman Brothers Band, and Delbert McClinton. 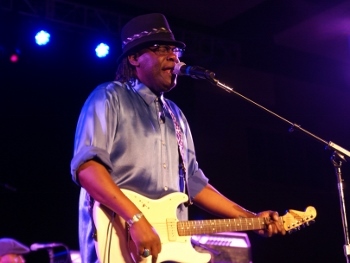 Having first met and jammed with Robson at the Amstelveen Blues Festival in the Netherlands in late 2016, Walker gladly accepted Robson’s idea of recording together, also bringing his longtime friend Katz into the mix. Together, they expertly plow through 11 classic blues numbers and one instrumental original that sound like they’ve been playing together for decades, barrelling in like a, well, mean, bad train with some strong blowing and sturdy vocals on Papa Lightfoot’s “Mean Old Train” before hitting on an assortment of tracks that ranges from boogie-woogie — such as Washboard Sam’s “You Got to Run Me Down” (Jazz Gillum) and the instrumental “Chicago Breakdown” (Big Maceo Merriweather) — to slow blues selections like Sonny Boy Williamson’s “I’m a Lonely Man” with its wailing harmonica, the plaintive-vocaled “Murderer’s Home” (Blind Willie McTell), and Son Bonds’ “Hard Pill to Swallow”. But that’s really just the tip of the iceberg, with other highlights here including a delightful take on Roosevelt Sykes’ “Feel Like Blowin’ My Horn” that harkens back to the great Robert Lockwood Jr. (with whom Walker, in fact, played second guitar on the same song on Lockwood Jr.’s I Got to Find Me a Woman album); Sunnyland Slim’s “It’s You, Baby”; and Smiley Lewis’ “Real Gone Lover”, as well as the upbeat instrumental original “G & J Boogie”. There’s a lot to like about the less-is-more approach of this album, which allows for what Robson describes as “the wonderful space that is created when drums and bass are taken out of the equation”, with each of these masters adding their own touches in ways that fit perfectly with those of the others. Nominated for both best acoustic album and overall album of the year, we wouldn’t be surprised to see the trio take home a statue or two from the Blues Music Awards later this spring. Which means Journeys to the Heart of the Blues is one blues fans of every variety shouldn’t miss taking home in the meantime! This entry was posted in Albums and tagged Bruce Katz, Giles Robson, Joe Louis Walker. Bookmark the permalink.